Ok, Macgruber, if you don't defuse that bomb in sixty seconds, you might just have to get out of bed. The Nootropic Design Defusable Alarm Clock is a hilarious alarm clock that you actually have to defuse to turn off. 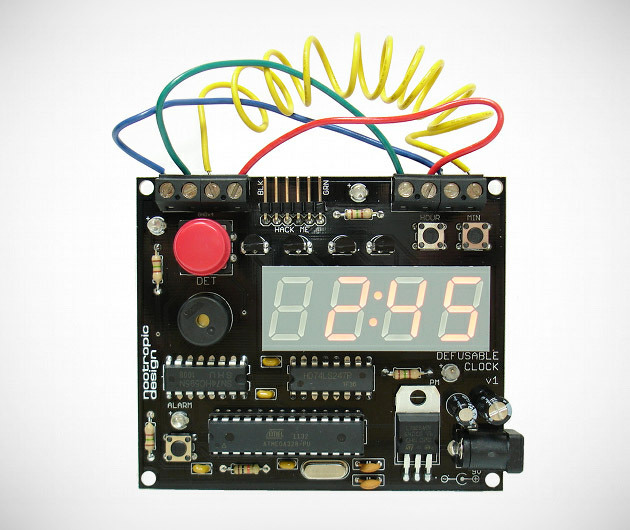 Just like those climactic action movie scenarios, decide which wire on the Nootropic Design Defusable Alarm Clock needs disconnecting or get blasted by the morning alarm.